Monjaras’ bond was set at $1 million during his Oct. 7 arraignment on a capital murder charge. Monjaras was living in Weslaco at the time of his arrest. 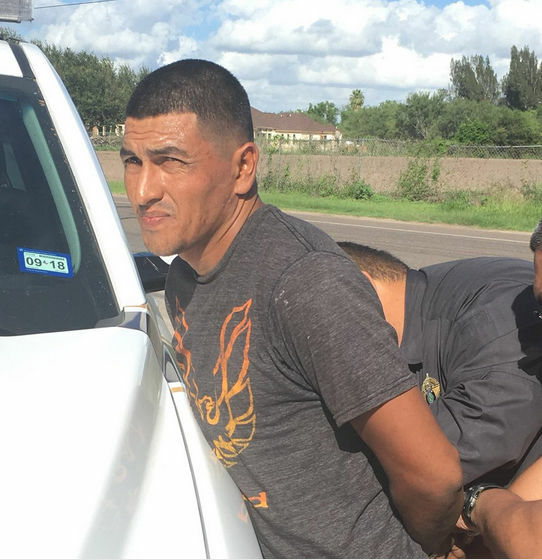 ALAMO — After weeks of looking for a suspect wanted for the murder of a 19-year-old man in rural Mission in late August, Hidalgo County Sheriff’s deputies made an arrest Friday afternoon. Eulalio De Los Santos Monjaras, 37, was arrested through the help of the San Juan Police Department, which provided deputies with information about his whereabouts. They subsequently located him and arrested him during a traffic stop in the Alamo area, according to a news release. He is alleged to have killed Cesar Eduardo Jaramillo at a house in rural Mission on Aug. 22, 2017, after an argument between the former business partners about money Monjaras purportedly owed Jaramillo took a fatal turn. According to witness statements and video surveillance, Jaramillo “was taken against his will, and later killed” after he went to Monjaras’ place of business. Monjaras will be arraigned Saturday and formally charged with capital murder.